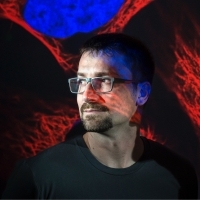 Attila Szantner is the CEO and co-founder of Massively Multiplayer Online Science (aka MMOS): a Swiss company specialized in connecting citizen science and games. MMOS founders received the prestigious Lovie Award and the IGDA Serious Games SIG Community Leadership Award for their role in creating EVE Online's Project Discovery. Attila has a background in computer science and he co-founded and co-designed iWiW, which was the biggest social network in Hungary before Facebook, reaching almost 5 million users.